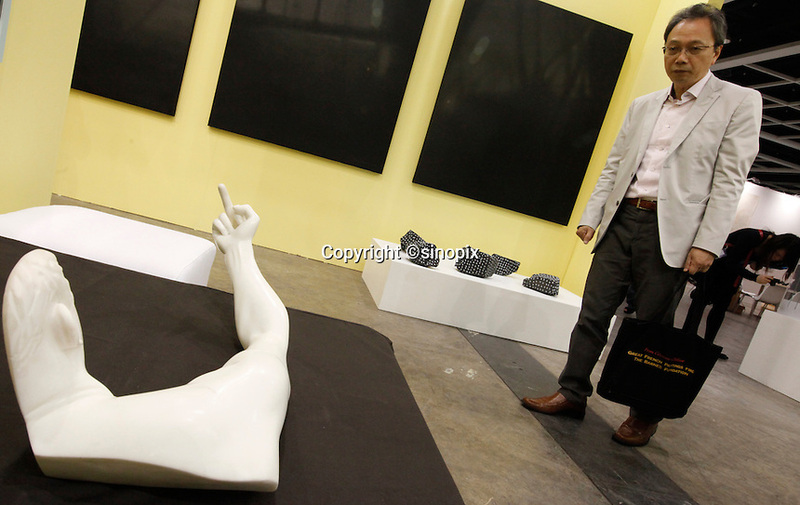 Chinese dissident artist Ai Weiwei's marble sculpture entitled 'Marble Arm' (2007) is displayed by 'Galerie Urs Meile' at ART HK 11, Asia's biggest art fair, Hong Kong, China. Ai Weiwei was arrested for 'economic crimes' at Beijing Airport on 04 April 2011, and has not been seen since. ART HK 11 runs from 26 to 29 May 2011, and hosts 260 galleries from 38 countries.